Governance is key to meeting the challenges and realizing the opportunities that co-operatives face today, and the School tackled all of these head on. 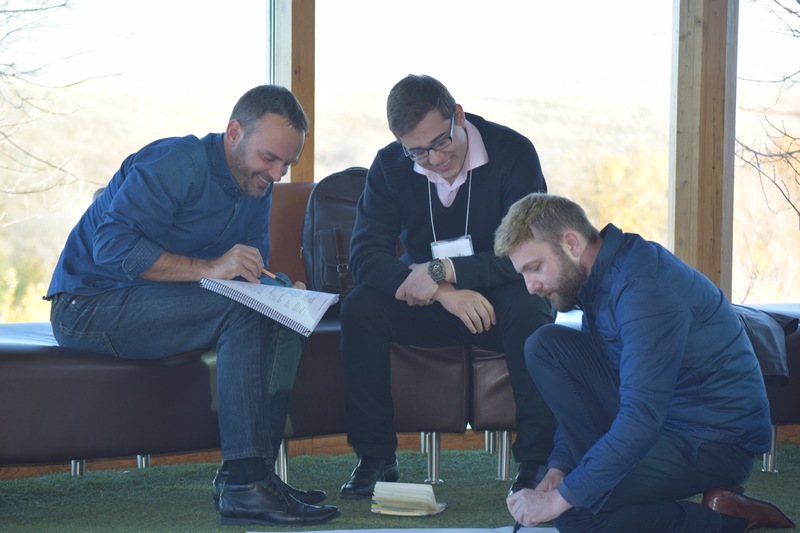 In preparation, faculty — academics from Canada, the US, Spain, and Germany — met for two days prior to the School to finalize curriculum objectives and co-ordinate teaching sessions. 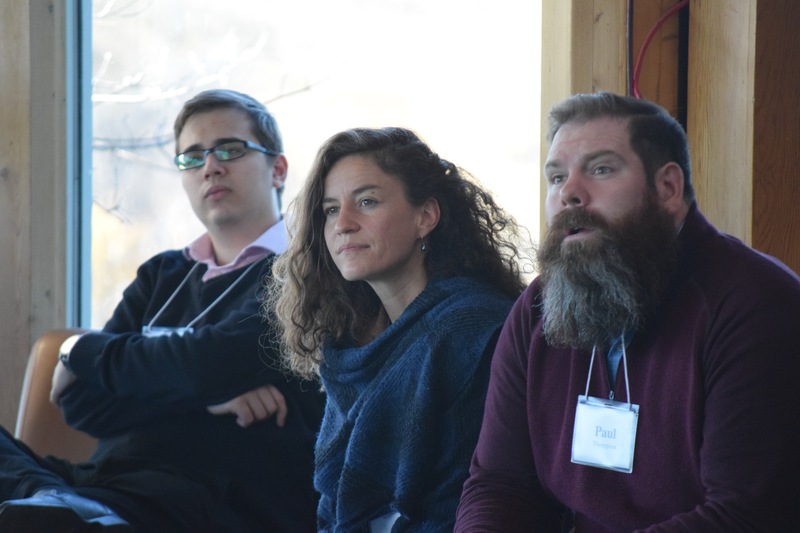 Subsequent days gave participants a mix of theoretical frameworks with which to understand co-op governance, as well as a series of case studies designed to illustrate how the key conceptual issues play out in practice. The School began with a session that provided participants with an overview of co-operatives and co-op governance. With this background in place, the participants and faculty met with practitioners from a number of organizations, including Federated Co-operatives Limited, MEC, the Canadian Credit Union Association, the United Farmers of Alberta, Affinity and Conexus credit unions, and St. Mary’s University, who outlined governance issues and challenges currently facing co-operatives. Discussion among practitioners, participants, and faculty then focused on how these are being addressed. Session 2 moved on to examine the standard corporate governance model, which is based on the principal-agent problem. Understanding this model is critical, since it represents the prevailing framework within which most governance discussion takes place. Sessions 3, 4, and 5 delved into a number of alternative governance models. The first of these, the stewardship model, sees the manager as having intrinsic incentives that allow her objectives to be aligned with those of the board. A key question, however, is whether these board-manager objectives are aligned with those of the organization, including members. The second, the cognitive model, challenges the view that the goals of the board and manager are rationally set, arguing instead that objectives are often intuitively determined for a range of reasons that are frequently biased and may be disconnected from what is actually happening. The cognitive model also raises the question as to whether governance is structured to benefit not an organization or its members, but rather, the manager and board. Finally, the political economy model categorizes the key activities an organization has to undertake to operate successfully —co-ordinating actions, developing a vision, and maintaining legitimacy — and then asks, “Who gets to decide what?” The answer — determined internally by the various players in the co-operative and externally by the institutional setting within which the co-op operates — defines the governance structure of individual co-operatives. The final session explored these ideas through an in-depth discussion of a number of cases and through a back-and-forth question-and-answer period that took place after participants had a chance to discuss their own experiences in light of the material presented earlier in the week. 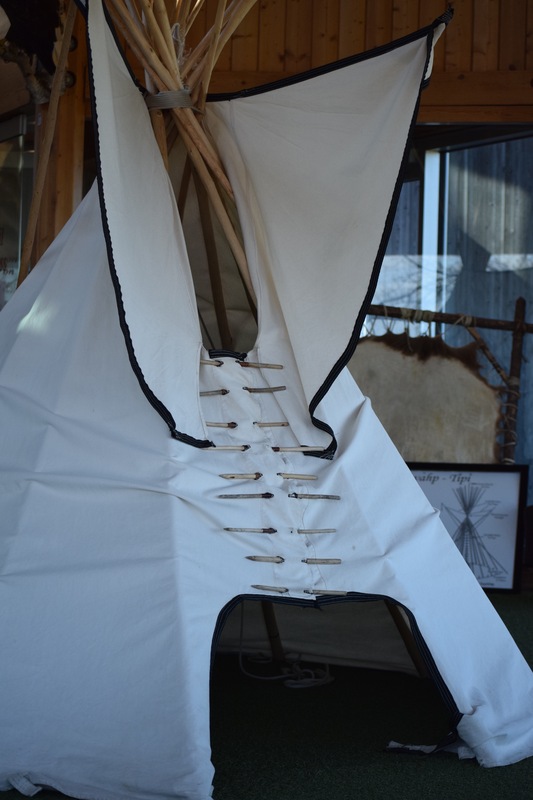 Although most sessions took place in the Diefenbaker Building on the University of Saskatchewan campus, where the Centre has its offices, the School met for one day at Wanuskewin Heritage Park, where participants undertook the co-operative activity of raising a teepee together. For some of the students — who hailed from Canada and the US as well as Argentina, Brazil, China, Germany, Ghana, Greece, India, Senegal, Slovenia, Spain, and Turkey— this encounter with First Nations culture was a highlight of their visit to Saskatoon. 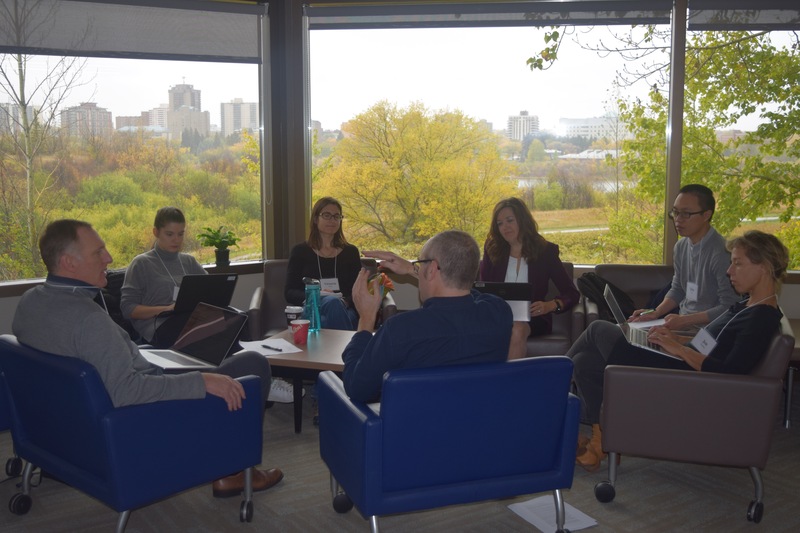 The recent success of our Social Sciences and Humanities Research Council Connections Grant application provided $25,000 in support of the School, allowing us to offer travel funding to international participants. Watch this spot for future posts on the event. Participants will be commenting on their impressions and learning outcomes, thus making the insights generated during the School accessible to a wider audience. We also recorded the sessions and will be posting segments on our website in due course. Nora Russell is the communications and publications officer at the Centre for the Study of Co-operatives. 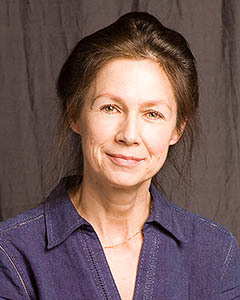 This entry was posted in Governance and tagged co-operatives, cognitive governance model, corporate governance model, governance, political economy governance model, stewardship governance model by Nora Russell. Bookmark the permalink. It was fun to meet all the participants, and have such in-depth discussions of theory and practice! Dear Nora, are video/audio materials recorded during the sessions available? If yes, could you please post the links? Thanks for your query. Yes, selected video material will eventually be available. One of our students is working on them. Watch our website for links under News and Events (usaskstudies.coop). It may not be until January 2018. Thank you for that wonderful initiative.I am really picking up the fruit of that intellectual exchange and the energy of those debates is in the air here in Senegal,West Africa. To be more precise,I am learning now through Canvas Co-operative Governance along with 300 students from every walk of life,thanks to that educational platform offered by the Center for the Study of Co-operatives. Thank you for your comments. We are so pleased you have been able to take advantage of the online course. We have been thrilled with the response. 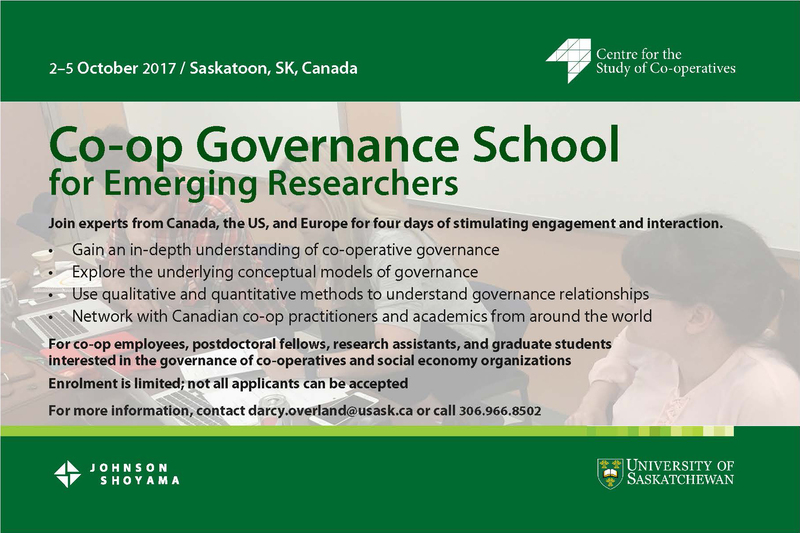 Once the course is over, we will be posting all the materials on our website at usaskstudies.coop. Please check out our website regularly for other materials and events you might be interested in.